Authority Roofing & Contracting is a locally owned and operated company that believes in keeping it simple for their clients and do everything possible to make their experience the best it can possibly be. They understand that their clients and customers deserve the highest quality roofing materials and the best installation methods in the industry and that is exactly what they deliver! Authority Roofing & Contracting is one of those companies that exceed any and every expectation. They don't settle for ordinary and they prove how serious they are by holding themselves accountable to the highest degree. They have excelled to the highest ranks of the major manufacturers by earning the coveted Master Elite Contractor with GAF (less than 1% of Roofers Nationally), Owens Corning Preferred Contractor, A+ BBB Accredited, members of the North Texas Contractors Association and Roofing Contractors Association of Texas, they are also members of their local Chambers of Commerce. 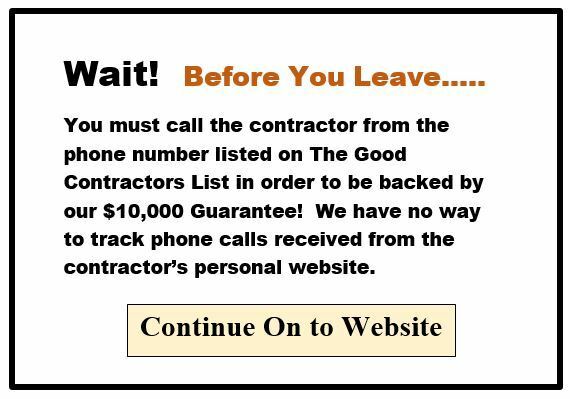 But the best part is that The Good Contractors List found the confidence in them to back their work with a $10,000 Guarantee! Call Authority today!